Creating rPET resin suitable for yarn production uses 50% less energy than is needed to manufacture conventional polyester from scratch, 55% few carbon emissions are released and 20% less water is used. We also recycle 80% of the water we use. 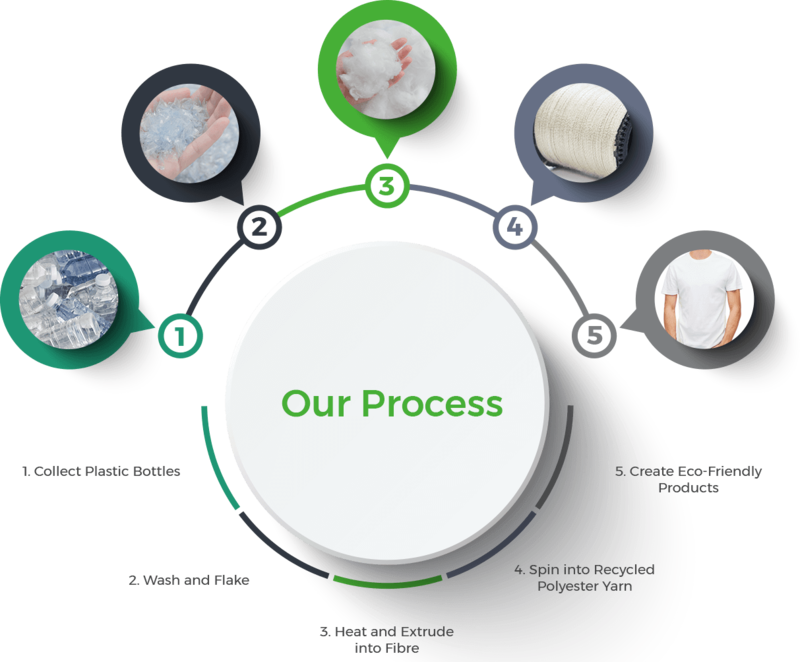 The key point is we reduce plastic to landfill and prevent new resources from being consumed by using discarded plastic as a raw material for Greenspun™ yarn. Each stage of our manufacturing process has been socially and ethically audited and environmentally certified.